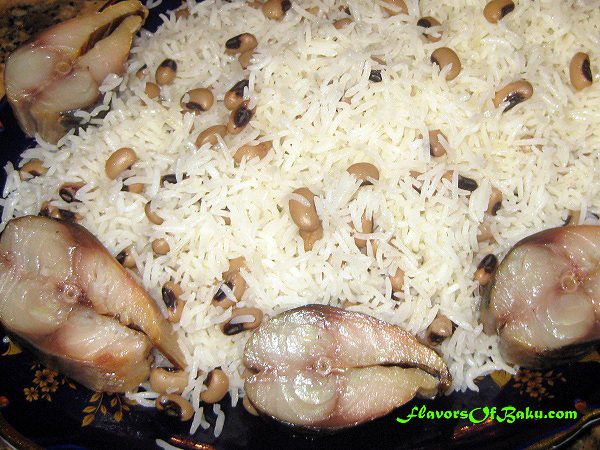 OSH LOBEYI – Pilaf with Black-Eyed Peas. 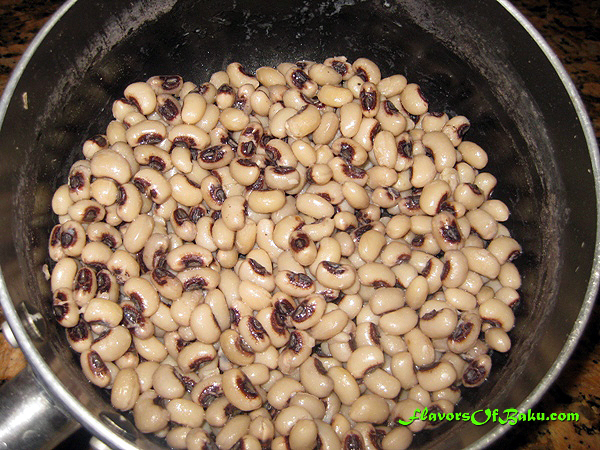 Place dried black-eyed peas in a bowl, cover with water, and soak overnight. Strain the peas through a colander. Then place the peas in a pot, and add enough water to cover the peas. Bring to a boil, add salt, and lower the heat. Simmer for 45 minutes or until tender. Strain the peas using a colander. Place black-eyed peas in a large bowl, and set it aside. 4. Move the rice into a pot, add cooked black-eyed peas, and gently mix them together. Pour 3 tablespoons of hot water on the top. 5. 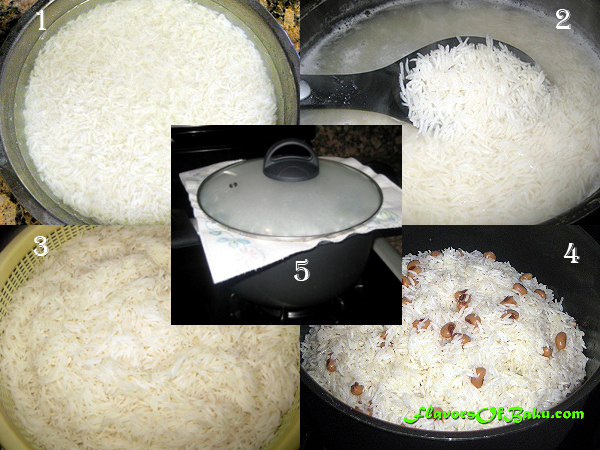 Wrap the lid of the pot in a tea towel or paper towel and cover the rice. Cook over a low heat for about 45-60 minutes. Put a heat diffuser or a pan under your pot to prevent burning. Serve Osh Lobeyi with a smoked salted fish. 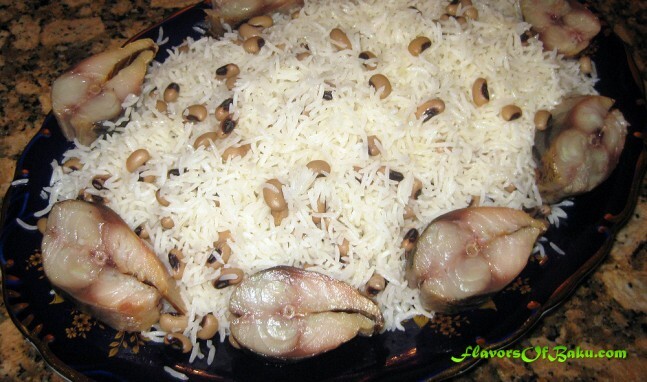 On the picture, osh served with a smoked Mackerel, which is perfectly complementing the black-eyed peas pilaf.